Interesting ISIS sign from administrative building in Mosul found in 2017 by a friend.. Interesting sign. 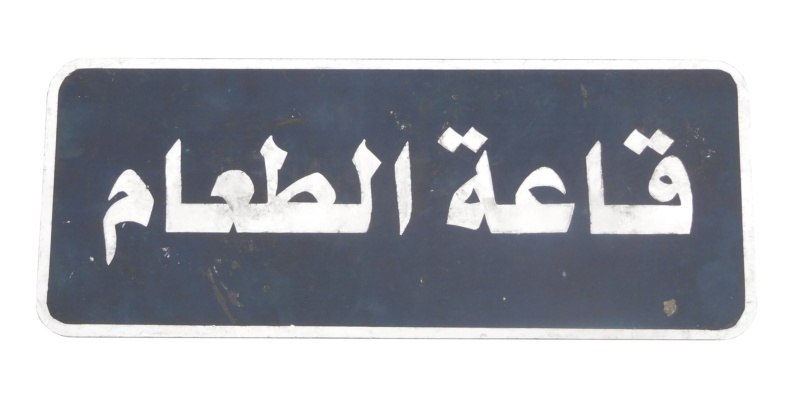 I like to pick up signs like this (not just ISIS) in Arabic but they are tough to find and get kind of pricey. This sign will look great in your ISIS display. I don't speak arabic but I believe it says "قاعة الطعام" which means dining hall. Great item! I like this sign !